Given the endless misinformation reported in the mainstream press and, until recently, the relative historical infrequency of anabolic steroid arrests and prosecutions, those in the criminal justice system have been largely “in the dark.” In working on steroid cases throughout the United States, Rick Collins and his legal team have found that few state or local police, federal agents, prosecutors or judges have comprehensive knowledge about the substances themselves, and too few are fully knowledgeable about the laws they are enforcing. When defense counsel is similarly undereducated, the end result can be disaster for the client. In his testimony before the United States Sentencing Commission, steroid legal authority Rick Collins was asked to offer his comments on whether anabolic steroids should be treated the same as other Schedule III controlled substances for the purposes of drug equivalency under the federal sentencing guidelines. He offered ten reasons why steroids are not equivalent to other Schedule III drugs, or to all other controlled substances. One common problem involves how much quantity evinces an intent to distribute. This problem arises because of the extensive experience the criminal justice system players have with cocaine and heroin cases. While anabolic steroids are classified as controlled substances, they are quite dissimilar to such hard drugs, which are typically purchased and possessed in amounts to be consumed in one sitting. Those using anabolic steroids will almost always purchase and possess much larger amounts in order to complete a whole cycle of use. Even a thousand tablets or scores of vials can be totally consistent with personal use. Both the medical and bodybuilding literature can be of great support to this argument. Yet Customs agents and Postal Inspectors who have intercepted lesser amounts have frequently treated the suspect like a drug kingpin. Another issue related to quantity arises when non-controlled substances are inadvertently “tossed into the mix.” Many bodybuilders utilize a variety of ancillary medications – anastrozole (Arimidex), clomiphene citrate, tamoxifen, clenbuterol, etc. — to enhance beneficial effects or to control adverse ones. When a wide variety of substances are recovered in a search, all manner of confusion by law enforcement can ensue. Such confusion is not hard to understand when often the lawmakers themselves are thoroughly confused. For example, Delaware law [16 Del. C. Section 4701(18)] defines “human growth hormone” as “synonymous with the term “human chorionic gonadotropin.” Other than sharing the word “human,” these two hormones have nothing in common. The Delaware statute effectively defines “apples” as “oranges.” It’s anybody’s guess as to what is intended. The depth of confusion and misinformation by those in the legal community can present an impediment to the proper resolution of these matters. A prosecutor or judge whose knowledge of anabolic steroids is based on what has been read in the lay press may not offer an appropriate plea and sentence. Counsel can respond to overly aggressive prosecutors who spout the “evils” of steroid use by referencing the medical literature itself, including the landmark 1996 study (printed in the New England Journal of Medicine) that found virtually no adverse effects when anabolic steroids were administered at a dosage of 600 mgs per week for ten weeks. Recent scholarly reviews of the literature have also concluded that the health risks have been overstated. There are a multitude of recurring issues in steroid cases. Should you ever have any questions or comments concerning anabolic steroids, the content of this site, or any issues of New York or federal criminal defense, please feel free to call upon Rick. Rick and his firm have been awarded the highest accolades (AV-rating) for legal abilities and general ethical standards from the prestigious Martindale-Hubbell directory and serve on the executive boards or committees of numerous legal associations. They have frequently lectured on issues of criminal justice to other members of the Bar, and have been published in many peer-reviewed journals. Further general information is available at www.cgmbesq.com and at www.rickcollins.com. Rick accepts referrals from attorneys throughout the nation. His firm also consults with attorneys in other jurisdictions who seek assistance on anabolic steroid issues. Participation and referral fees are paid in accordance with state and local bar rules, codes of professional responsibility and canons of ethics. Where a geographically distant client’s needs would be better served by referral to local counsel, Rick seeks to find eminently qualified counsel in that area. 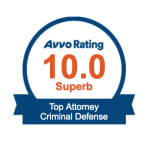 Accordingly, the firm is always looking out for criminal defense attorneys experienced with anabolic steroid cases (and other criminal defense matters). If you have an interest in being considered in this regard, feel free to contact 516-294-0300 or by e-mail through the firm web site at www.cgmbesq.com or directly at info@cgmbesq.com. Rick hopes you have found this site illuminating. Please forward any comments or suggestions to him at rcollins@cgmbesq.com. He also welcomes input from attorneys throughout the United States and abroad concerning the laws, policies and practices of their jurisdictions. Rick is the expert in steroid cases and doping cases. He is an experienced and aggressive trial lawyer who is fully familiar with how to achieve top results for his clients. He does all types of criminal defense cases well. I worked with Rick on a case involving a boxer who had tested positive for a banned substance after a fight in Germany. Through Rick's help and guidance we were able to get the B-sample tested in the US and prevent the boxer from losing his top ranking. Rick is one of the very best attorneys on the subjects of drug testing, dietary supplement and doping cases. I highly recommend him. Rick is the nations most experienced and talented steroid defense attorney by far. Rick has represented clients accused of steroid related charges all over the nation and his results speak for themselves. Rick is honest, hardworking, and a skilled litigator. I highly recommend Rick. Rick is as good as it gets. Period. I had the extreme pleasure of working along side Rick on a steroid litigation case in Arizona. Rick's preparation, dedication and legal execution skills are impressive. I hold him the highest regard. Rick's knowledge in steroid and peptide cases has been second to none. He was a tremendous asset to our case. I endorse this lawyer. 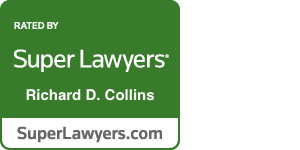 Richard Collins is nationally recognized as an expert on steroids and wrongful prosecutions based upon allegations of steroids. Needless to say "Not Guilty". I endorse this lawyer. Rick is one of the best attorney's dealing with the "crime" of steroid possession. Rick has been one of, if not the, lead attorney in this area and has worked on cases all over the United States. He is the go to person in this area and works diligently for all his clients when defending their rights. Rick is America's foremost "Steroids" specialist. No one is more knowledgeable about the defense of a Steroid case. A phenomenal trial lawyer, Rick has a way of explaining the difficult science to a jury that helps them to understand exactly what is behind the "persecution" of one of these cases. If someone is charged with possession or sale, or misuse of steroids, Rick is their best hope for acquittal. He is exceptional.